The winner of the BT Infinity Lab competition, Sceenic, will now be trialled by BT Sport for potential future use by the company. 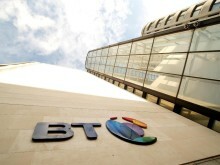 The competition builds on BT’s rich history of engaging with start-ups and encouraging open innovation by providing a route for entrepreneurs to realise their ideas and innovations. London-based Sceenic's solution claims to increase audience engagement for broadcasters by enabling users to enjoy a group viewing experience. BT Sport has been at the heart of innovation since its launch in 2013. It was the first broadcaster to show live content in 4K UHD and the first to adopt Dolby Atmos audio. BT Sport has also embraced social media, broadcasting the UEFA Champions League and UEFA Europa League finals on YouTube and showing content such as BT Sport Score live for free on Twitter and Facebook. 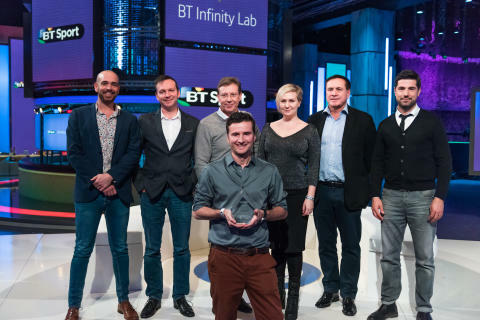 This is the second time the BT Infinity Lab has helped BT Sport to run the competition and Sceenic could follow in the footsteps of previous winners, Seenit, who are now a key and pivotal part of BT Sport’s Premier League Tonight show. The round-up show covering all Premier League matches has a particular focus on engagement with fans. Using Seenit’s video collaboration platform, it involves fans sending in questions for BT Sport pundits to answer as well as supporters summarising matches they’ve been watching across the country on video and sending their films to BT Sport for host Jake Humphrey to show. This year, entries were encouraged to focus on disrupting traditional broadcast approaches, including capturing the in-venue experience; encouraging interaction between sports fans; uses of data; ways of making live sports more accessible for impaired viewers; and new technologies such as virtual reality (VR). The competition was backed by BT Sport presenter Craig Doyle and Jamie Hindhaugh, chief operating officer of BT Sport, who both featured on the “Dragon’s Den” style panel which interviewed the final shortlisted companies at the BT Sport studios in London. The winner will now also receive six months’ membership at TechHub with access to their workspace and events. Spectral-Edge, based in Rutland, uses technology to subtly modify colours on TV screens, tablets or smartphones for those who are colour blind, while at the same time ensuring non-colour-blind viewers do not find their viewing experience compromised. Alchemy Data, based in Buckinghamshire, analyses fans’ online habits to predict their future online behaviour around different sporting events. Salsa Sound, based in Salford, aims to improve the audio experience of live sports on TV. The technology uses artificial intelligence (AI) to enhance existing pitch-side microphone feeds to provide a highly immersive sound experience. The Future Group – based in Oslo, Norway, works on inserting computer-generated characters into a live broadcast to enhance the audience experience, including having digital roubles to go through events that have happened during live sports broadcasts and exemplify the analysis. Spalk, based in New Zealand, provides a platform for alternative sports action commentary from fans, YouTubers or athletes. Brainstorm, based in Madrid, provides real-time 3D graphics and virtual set solutions for broadcasts, capturing real presenters in both virtual and real environments into live video. Smarter TV, based in Israel, offers clickable and interactive video technology. Its service also allows for the unattended production of live events.